Our dogs are important to us, and we want to make sure we keep them as healthy as possible. With so many foods to choose from, it can give you a headache trying to decide which one is the best for your canine companion! While there are many great foods out there and each dog is an individual with their own needs, there are some base ingredients you definitely want to avoid. Some may sound like they’re nutritious – but they aren’t. Take a look at our gallery to see what you should be avoiding! Artificial colors, such as Red #40 and Blue #2, are sometimes used in pet foods. Believe it or not, these colorings have been found harmful to people, and Red #40 has even been banned in the entire European Union as a possible carcinogen! If that doesn’t tell you something, I don’t know what does. But stay away from these ingredients in your dog’s food. Beef tallow is simply beef fat, and holds no nutritional value for our dogs. Because fat brings in a lot of flavor, it’s often used in pet foods to make them more appealing to our furry friends. But keep in mind that it’s just another unnecessary, low-quality ingredient. Corn syrup is another ingredient that’s bad for both humans and our pets. It’s an unnecessary ingredient with no nutritional value and only helps to sweeten your pets food. Just like sugar, pets can become addicted to eating corn syrup and refuse any nutritious meals. It’s like skipping dinner to get to your sugary dessert. Not only is corn a common ingredient that pets are allergic to, it offers no nutritional value. We may think it sounds healthy because corn is a vegetable, but the corn in our pet foods really isn’t the delicious food you’re used to eating. Commodity corns are used in pet foods as a cheap filler, they only add more sugar and artificially increase the protein count in pet foods. It’s best to avoid all varieties of corn ingredients. Don’t worry about how to pronounce ethoxyquin, just make sure you know how to find it in an ingredient list. Ethoxyquin is a very harmful preservative used in pet foods. It’s also used in making rubber and as a main ingredient in pesticides. Ethoxyquin has not been approved in the European Union or Australia, but is allowed and widely used in the United States, and has been linked to liver issues in pets. Meat by-products really are not very meat-like once they reach pet foods. Meat by-products come from any part of the animal that was not approved for human consumption, including cancerous and rancid tissues. It’s unknown (often even by the pet food manufacturer) what type of animals these by-products come from, and there are some reports that sedatives and medications used for humane euthanasia have been found in pet foods containing meat by-products. 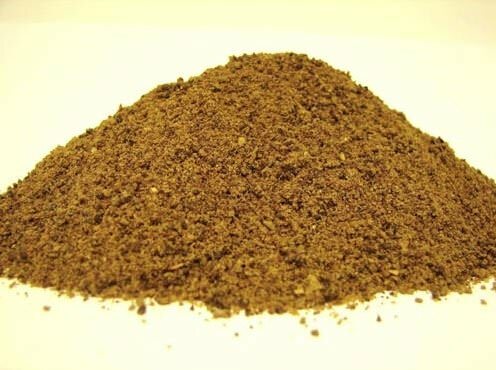 Meat and bone meal are very similar to meat by-products in that they hold no nutritional value and can generally come from anywhere. Meat and bone meals are essentially ground up meat by-products, including bone, that were not deemed fit for human consumption. Rancid and cancerous tissues and bones are included in meat and bone meals. Aside from being used as a preservative and sweetener in pet foods, propylene glycol is the main ingredient in anti-freeze. Yes! A product that is widely known to be very toxic to our pets actually shares ingredients found in pet food. You always hear that anti-freeze tastes sweet, and that’s why our pets like to drink it. Doesn’t seem too odd that low-quality pet foods will use it in their ingredients as a sweetener, does it? Definitely avoid any foods containing propylene glycol in them. Dogs did not evolve eating grains and their bodies are not well-adapted to digesting them. Therefore, wheat flour offers zero nutritional value for our pets. Wheat flour is sometimes used as a source of protein to make the nutrition stats on the bag look better, but it really does more harm than good. Another unnecessary ingredient, wheat gluten also offers no nutritional value. Simply used as a cheap protein source and filler for dry pet foods, wheat gluten is something that should be avoided. Being just another filler means that wheat gluten brings much more harm than good to the table.